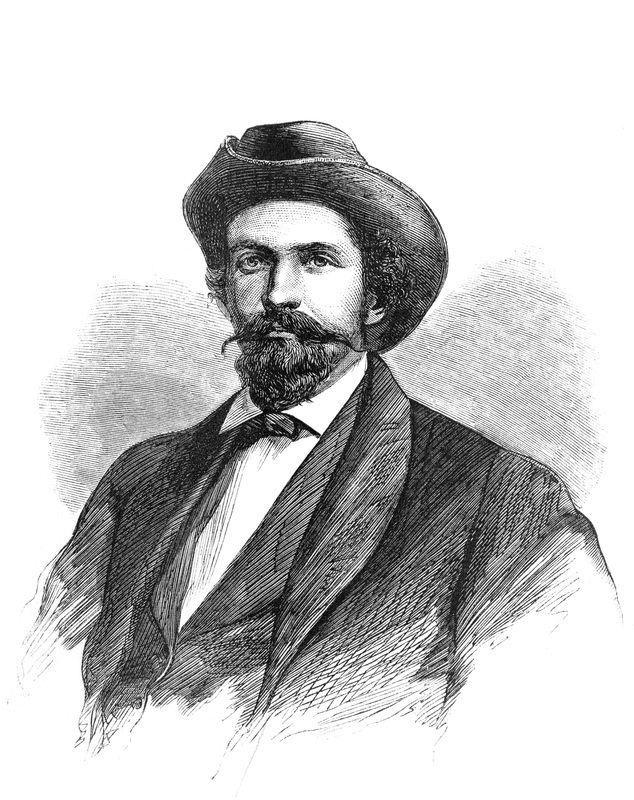 "John Hunt Morgan was born in Alabama in 1825 and in 1830 removed to Lexington, KY. In 1861 he joined the Confederate camp, near Green river, and although a commissioned officer carried on largely an independent campaign in Kentucky and eastern Tennessee. In 1863 he started on his raid through Indiana and Ohio for Pennsylvania, crossing the Ohio river at Brandenburg with about three thousand. He was followed by Gen James M. Shackelford with a force of U.S. mounted infantry, cavalry and artillery, but being practically unopposed in front, Morgan managed to give his pursuers a long chase. The invaders entered Ohio at Harrison on July 13th and following an eastwardly course attempted to cross the river at Portland, near Buffington Island, but were overtaken and lost about fifteen hundred men in killed, wounded, and prisoners. 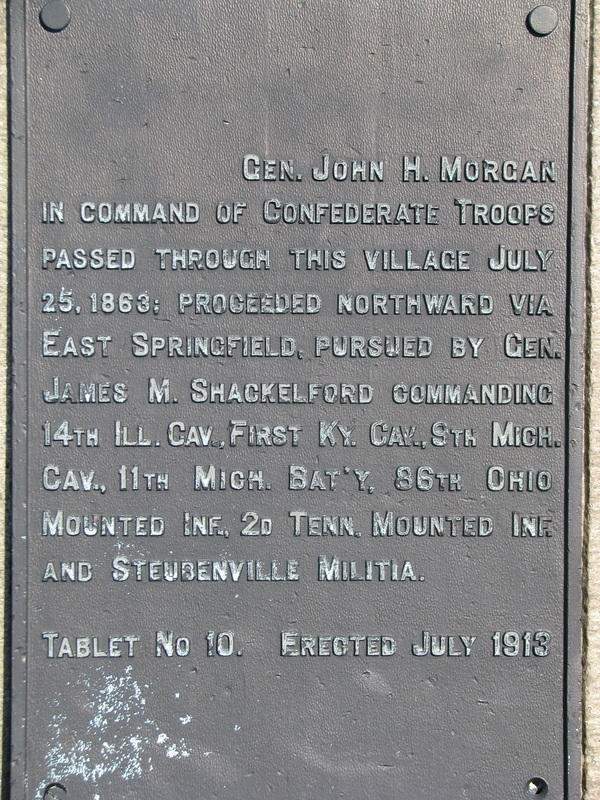 Morgan, with the remainder of his forces, escaped through Athens, Morgan, Muskingum, Guernsey, and Harrison counties Ohio, entering Mt Pleasant township, Jefferson Co Ohio, Saturday morning July 25th. He followed the road down Long run to Short creek; thence to the present village of Dillonvale and up Dry Fork road to Smithfield; thence to New Alexandria and down Mclntire to Cross Creek; thence via Ekey's and Dry Fork to Wintersville; thence through Richmond and East Springfield northwardly to Monroeville, where there was a skirmish on Sunday morning, the 26th of July. 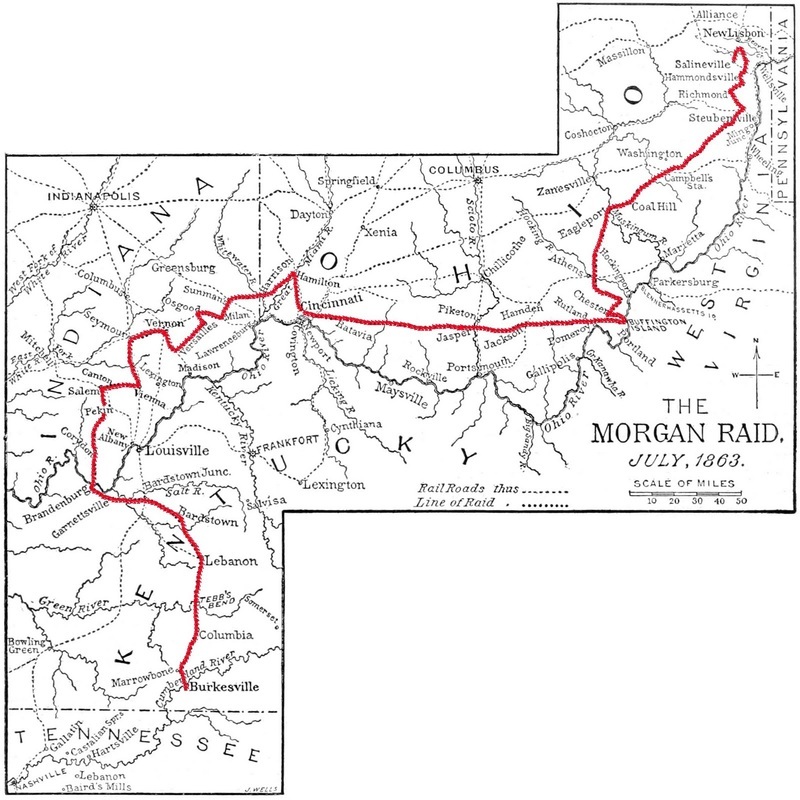 Morgan was now cornered and surrendered with the remnant of his forces near Salineville about one pm. This was the farthest point north reached by an invading force during the Civil war. At all prominent points along this route monuments have been erected with suitable inscriptions--fourteen monuments in all. Morgan and sixty five of his men were imprisoned in the Ohio penitentiary in retaliation for similar treatment of some Union raiders, from which penitentiary he and six others escaped on November 26, 1863. He resumed operations in the South, and was shot at Greeneville, TN on September 3, 1864." 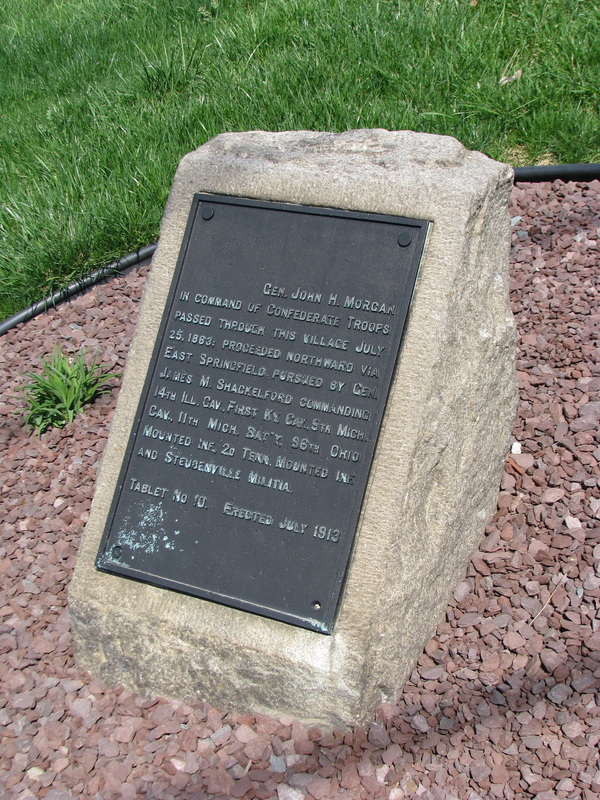 Marker in Richmond, OH commemorating Morgan's Raid.